He was Scaramanga - The Man With the Golden Gun, he was Saruman - Head of the White Council & Lord of Isengard, he was Count Dooku/Darth Tyrannus - Sith Lord of the darkside and when one thinks of Dracula himself - it is the rumbling voice and menacing black and white visage of Christopher Lee you should think of. 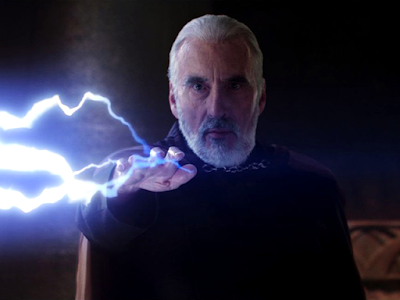 A former intelligence officer for the RAF during WWII, Sir Christopher Frank Carandini Lee, CBE, CStJ brought many silver screen characters to life in a career that spanned seven decades and was a favourite baddie of both young and old movie-goers alike. Lee died on Sunday 7th June from heart failure, he was 93.